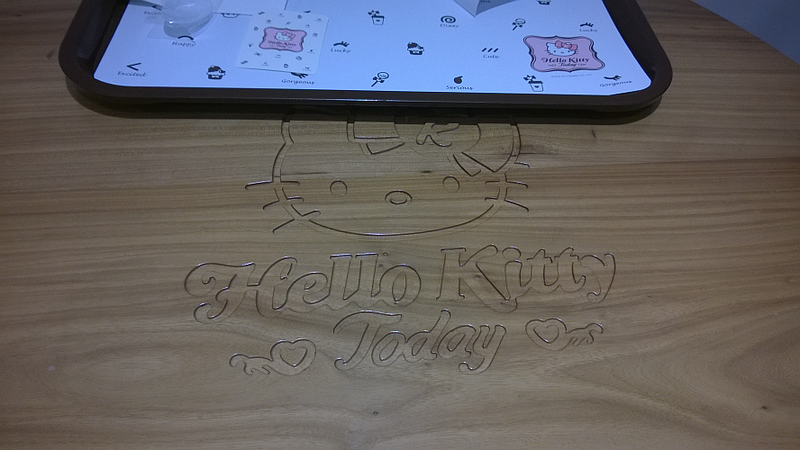 After having a curious pork sandwich from Burger King, the obvious follow-up was to have an aggressively girly dessert from the nearby Hello Kitty-themed cafe, because EVERYTHING IS BETTER WITH KITTY I guess. I obviously wasn’t going in at peak hours, as you may be able to tell from the above picture. There was only one other customer. Much like me, he was a grown man with thinning hair and absolutely did not meet the target demographics. I have omitted a photo here to allow him his decency, but I think that it just goes to show that love for the world’s favorite mouthless feline transcends age, gender, and social expectations. 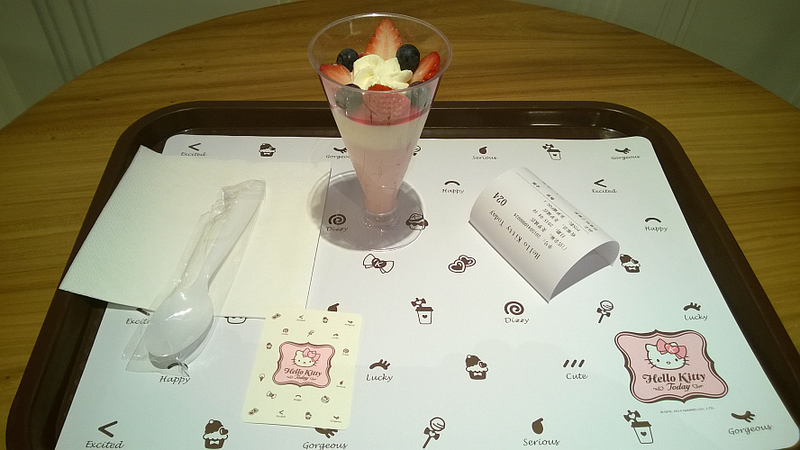 Besides, that would have distracted me from my gloriously pink parfait. Sadly it was kind of bland. Sometimes Asian ideas of how sweet desserts should be do not match up with my ideas of dessert. Also, it was tiny for its 元28 price tag. That’s pushing five bucks for a little bit of whipped cream, some pink strawberry mousse and a couple of berries. 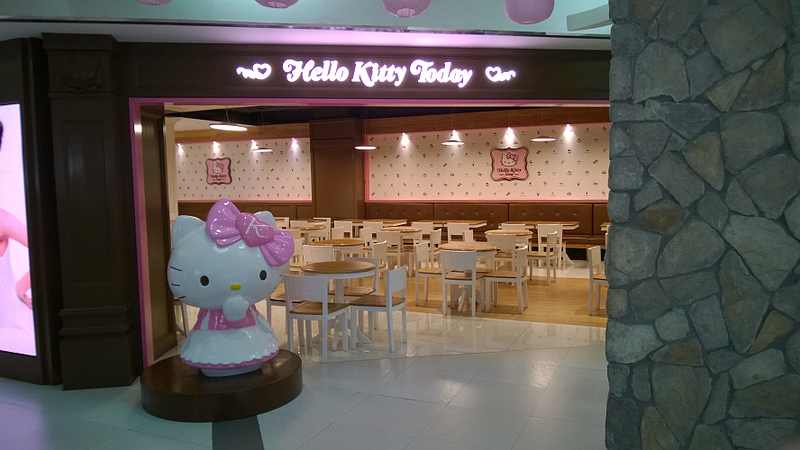 Still, you don’t necessarily go to Hello Kitty Today for the food so much as the ambiance, which is to say that you want to listen to bippy western pop music (“Trouble is a Friend” is surprisingly catchy, I have to admit) and see Kitty everywhere you look. Side note: What the heck happened to my white balance here? That is an awfully blue placemat. This entry was posted in China, food, travel. Bookmark the permalink.